This is a night of laughter, drinks and great entertainment. Kane Brown is THE name which has become associated with fearless and bold comedy who leaves crowds wanting more with his outlandish, direct & honest style of comedy. Energetic, charismatic, versatile and animated are just a few words that describe Will-E Robo's stand-up routines. He is a universal comedian, with an overflow of energy, combining his storytelling abilities with vividly humorous gestures and amazing sound effects that can paint a clear picture in our heads. He is also notoriously known for his impressions of animals, entertainers, and other characters. Junior Booking is a young, charismatic & talented comedian from South London. Junior Booker has been ripping up shows all over the country & entertaining audiences all over the UK with his smart, quick witted, laid back comedy performances. Junior Booker regularly runs his own weekly stand up show in SW London. Marlon Davis is a bright young comedian, improviser and actor who embraces his work with energy and charm, embodying his characters and delivering his material with skilful observations. Marlon's recent TV appearances include Edinburgh Comedy Fest Live (BBC3), The Steve K Amos Show (BBC2), The Five O'Clock Show (Channel 4). 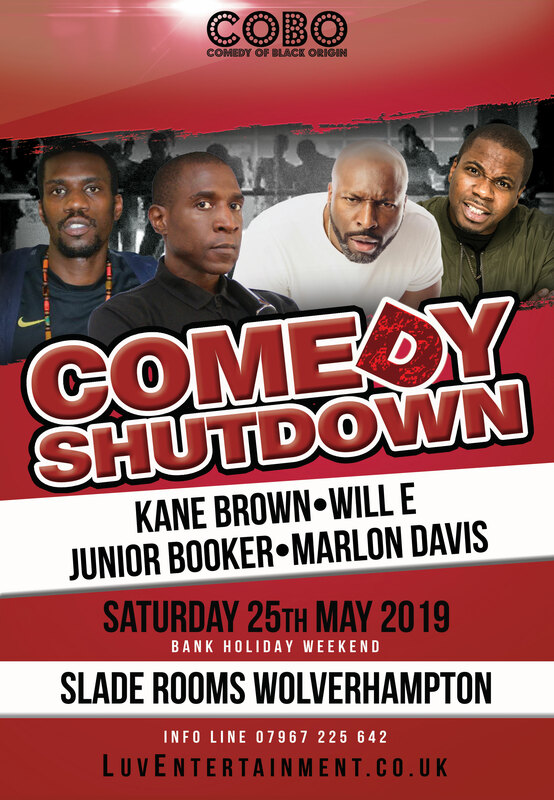 Marlon, FHM Stand Up Hero 2009 has supported Kevin Bridges, Michael McIntyre and Alan Carr on tour and is performing at clubs, arts centres and theatres all over the UK. Marlon's act is inspired from his upbringing, exploring urban Britain tackling its social issues with skilful characterisations.